Hello Gardeners, I’m Amanda McNulty with Clemson Extension and Making It Grow. The most cold hardy of the camellia species grown in the United States is camellia oleifera, the oil seed camellia. 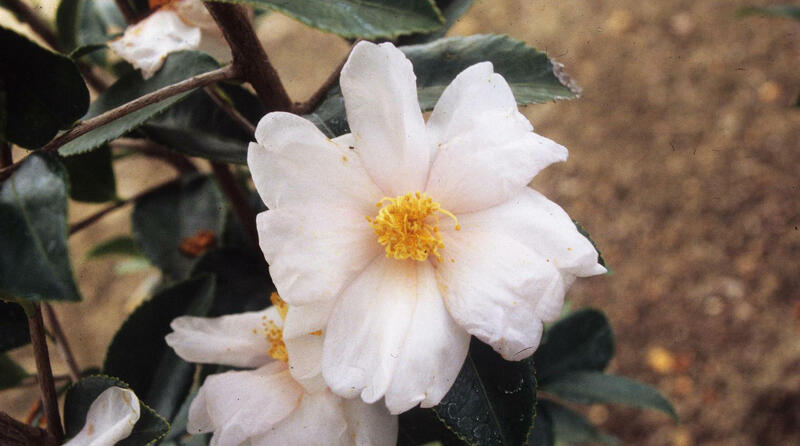 This camellia has small white flowers produced in masses on a plant that reaches 20 feet in height. It’s been used in breeding programs to develop cold tolerant camellias for use in northern states. We usually hear about camellia oil when we are shopping for fancy cosmetics – skin and hair care products. In Asia, this oil, pressed from the seeds formed in the hard-round camellia fruit, is widely used as a cooking oil. It is similar in properties to olive oil in its health benefits, but has an extremely high smoke point – so can be used for deep frying. Don’t confuse it with another ingredient used frequently in cosmetics– tea tree or melaleuca oil, from the Malaleuca plant, which is poisonous.